Do you have an open office? The modern fashion of the office interior is changing day by day and the demands for the office partitions are increasing. Glass office partition is a popular choice its several styles and appearances. You can have framed glass partition, part glass partitions, and part plasterboard to improve the interior of your office according to space and requirements. If you want to create a stylish and functional office, go for glass office partitions. The popularity of this glass partition in case of contemporary office is high for its several advantages. The benefits of glass office partition are a great way to add more elegance to the office space. It will also deliver a professional appearance to the office. The best part is that there are plenty of options in glass partitions and so you may choose a suitable style. Commercial glass partitions do a great task in case of maximizing the dispersion of light which in turn creates a spacious illusion. It also uplifts the mood of the employees and promotes a healthy work environment by adding a natural charm. The bright environment-friendly work atmosphere is always helpful to produce something new. The glass partitions do it effectively as well. Using office partitions is cost effective and convenient. The cost of using a glass partition is not much in this competitive market. It also helps in future office expansion easily as well. Glass partition can be installed quite easily with minimal fuss. A minimum structural modification is required if you use glass partition and later on want to renovate the space. Are you willing to have more privacy in the space and thinking that the glass partitions are not able to fulfill this requirement? Then you are wrong. 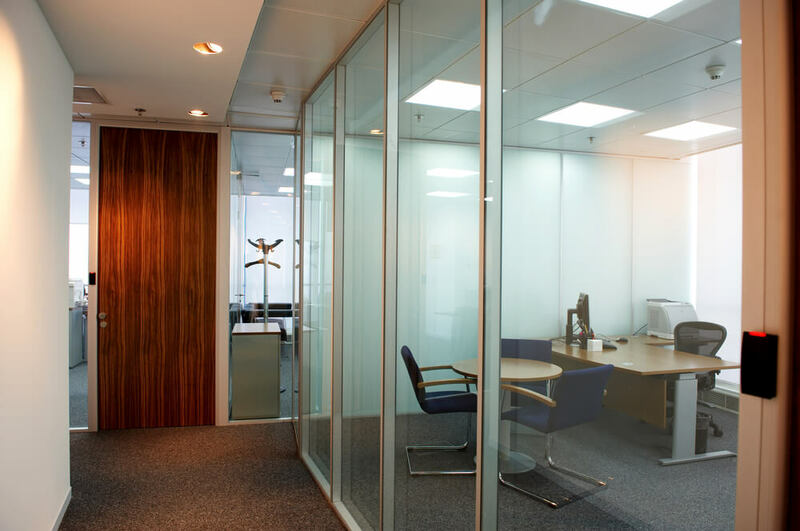 An office glass partition can increase the privacy level. You may choose among the range of styles like tinted, frosted or colored styles for this. 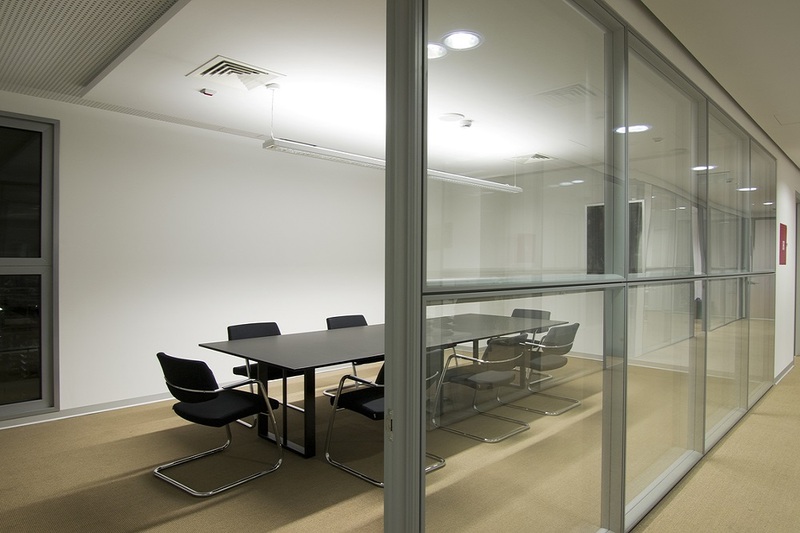 Use frosted glass partition in the meeting room or conference room to enjoy more privacy. Glass partition also helps in lowering the noise level in the office which helps your employee to concentrate on the work more. To prevent noise in the office, you should better go for double glazed glass partition which is sullied satisfactorily. If you are thinking that the glasses are easily breakable and it will not last for long then you are making a mistake again. Office partitions in the modern day are strong, safe and durable. They are indeed the best way of partitioning the office. An office partition is far more flexible and is packed with features. They are available in different styles and patterns to reach the expectations of the customers. The half-height glass partition is a widely used office partition. They start from the floor and ends before the ceiling. Floor to ceiling office partition is the full-height partition and is perfect if the office needs a completely quiet working environment. It reduces the level of noise pollution. The accordion partition offers a lot of flexibility in the office and even restricts the noise spread. Demands of each office differ according to its layout and design. Office partitions provide a wonderful way to enclose office space. You may also buy modern office partitions that are easy to install. They can be installed in the shortest period of time and last longer as well.